Only I would get sick during Ramadan. With that being said, I am definitely taking a day tomorrow to let my body rest. It doesn’t feel right, but Allah allowed the sick to be exempt from fasting. I should take the blessing. This was definitely a month of firsts. It’s my first summer ever working at a “real” job. My first Ramadan while working. The first time since I started blogging that I probably won’t finish the Qur’an (I’m only on the 17th juz. It ain’t happening). My first time getting sick during Ramadan. Part of me wants to be upset about how this month turned out compared to other Ramadans, but I watched a video yesterday that changed that perspective. Usama Canon has a series on YouTube called “Fast Reminders” which are daily one-minute videos during the month of Ramadan. I splurged and watched all of them yesterday, and in the video titled “Don’t Compare,” I felt like he was talking directly to me. Rather than dwell on not being able to read as much Qur’an, acknowledge the success of getting to the second half of the Qur’an despite working four days a week. Rather than complain about not being able to go to iftars because of work the next day, be grateful for having the opportunity to help dozens of people in my nursing homes during the month in which good deeds are multiplied. Rather than wonder why God made me sick today, thank Him for giving me twenty-six straight days of good health to be able to experience what I did this month. It’s kind of a fun exercise once you get into it. Don’t compare your current situation to situations of the past. Reflect upon the blessings that have come out of this moment and simple let it be. Lately everyone advises being present and mindful, and I have always struggle with what to do once you’re in the present, however this exercise has helped with that. Rather than just thinking about what is currently going on, it feels much more enriching to think about how what is going on is benefitting me. Guess what? When it comes to questions about my religion, they don’t exist. “Do you really wake up every morning before dawn to pray? That one was a first for me, and I kind of loved it. Praying Fajr is something so normal and taken for granted that I forgot it is a completely foreign concept to people who don’t practice Islam. To all of my non-Muslim friends: Please, never ever be afraid to ask me a question about Islam because you think I’ll be offended. I love when people ask me about Islam, and from what I’ve heard many other Muslims share this feeling as well. You’re taking an interest into something that is so special and important to me. You’re taking an interest in me. There is nothing offensive about that, and I actually see it as endearing. Honestly, that isn’t even offensive to me. It’s presumptuous, but not offensive. I won’t get mad. I’ll just respond honestly and politely correct when necessary. To my Muslim friends who get offended by questions: They’re just questions. Don’t feel attacked or get defensive. Just be genuine, and be happy to correct. The nature of an honest question is that the one asking doesn’t know the answer and is relying on you to straighten things up. Subhanallah. Let’s just start with that. Glory be to God. The One who is able to make us perceive nothing, and then perceive everything. One of the things that I was nervous about leading up to this month was not just giving up the “distractions.” The question that had been rattling around my brain all of last week was, “What am I going to do with myself all day?” How would I keep from being bored? I spend so much of my day – much more than I would like to admit – doing completely pointless things online. In giving that up during Ramadan, what in the world would I be interested in enough to replace that time? Here comes my subhanallah. Today, it felt like I had found a plethora of things to do. So many forgotten projects. So many activities that I can do that do not require a computer. Seriously, bless my parents. My God grant them peace, happiness, and ease in this life and the next for fostering my creativity when I was young and allowing me to explore and find hobbies. I remember when I was around 10 or 12, in that age when you’re getting too old to just play, but too young to be interested in anything besides playing, and I went to my parents, in distress at being at this age where I was always so bored. In response to this, my parents didn’t just tell me to “get a hobby.” They asked me questions and got me thinking about my interests, and then gave me the means to explore these interests. When I said I liked writing, they got me colorful pens and a notebook. When I expressed an interest in video-editing, they got me an editing software. When I started having a strange obsession with white tigers, they got me a sewing project that creates an image of a tiger. Because of that, I can now sit in my room with countless resources to occupy my time. Reading, starting up a latch-hook project from years ago, writing a novel who knows will ever be published. I found so many moments today when I was at total peace, not having any music or noise to clog up my mind, aside from the subtle sounds of the wind rushing past my window and my neighbors playing in their sprinkler. Have you ever heard joy? Back in my room, I suddenly see so many possibilities of things I could do. I glanced at the time and realized that I actually don’t want today to end. I want more time to write and read and explore all of the stuff that I have stored in my room from when I was a kid. Of course, then the thought charges back in my mind that I’m not a kid anymore. Yes, there are plenty of things that I want to do, but I also have an annoyingly long list of things I have to do. Update my resume. Apply to internships. Figure out if I should get replacement glasses, or contacts, or both. Here is where I get stuck between being an adult and being a kid. How do I balance the things that I want to do, that are perfectly harmless, and the things that I have to do. And then what about ibadah? Worship? Do I put everything on hold this month to just focus on worship? Or is this a third set of things to add to the balance? Alamdulillah, God made this religion with so many options of ways to worship him. Saying dhikr while I do my latch hook. Learning about the Prophet Muhammad (S) and his companions in my books. In one of my pre-Ramadan lectures, the speaker said that any halal action can be turned into an act of worship. You just have to adjust your intention. And of course, there is the reward of #TheStruggle. I am already seeing teasers popping up for new albums and music videos of some of my favorite – and I mean favorite – artists. But I said I would give it up for Him. I wouldn’t let my love of media distract me from real worship during such a precious month. May Allah grant me and all of you strength through every sacrifice we make for Him this month. May He keep our intentions pure. May He reward us for our efforts. Ameen. Two years ago, I spend Ramadan reading a translation of the Qur’an. Last year I read a biography of Prophet Muhammad (S). This year I’ve decided to read a book on various companions on the Prophet. The book is one my mom suggested to me, Companions of the Prophet by Abdul Wahid Hamid. Quite perfectly, there are 30 chapters, each detailing the life of one Sahaba (companion). Ironically, none of my favorite ones are in here, Abu Bakr, Khadija, Ruqayya, Uthman, but there are plenty of names that are unfamiliar to me so this will definitely be a learning experience. Who knows? One of these new names may end up being a new favorite sahaba. Today I read about Mus’ab ibn ‘Umayr. It looks like he is most notably Muhammad’s (S) first ambassador of Islam, who was sent to teach Islam to the people of Yathrib (soon to be renamed as Medina). He dies in the Battle of Uhud, as he is protecting the Prophet, and his final words are pretty remarkable. “Mus’ab was heard to repeat the words: ‘Muhammad is only a Messenger. Messengers have passed away before him,’ showing that however great his attachment was to the Prophet himself, his struggle above all was for the sake of God and for making His word supreme… The words he repeated, every time he was struck were later revealed to the Prophet and completed, and became part of the Qur’an” (Hamid 12). 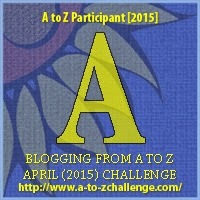 It’s the first day of the A to Z challenge! I’m beginning the month with a verse from the Qur’an: Ayat Al-Kursi. Chapter 2 (Al-Baqara, The Cow), verse 255. I probably recite this verse more than any other verse in the Qur’an (unless you count bismillah). I can’t give an estimated number, but I recite it several times a day. The translation is interesting and pretty poetic. It basically describes God and some of his qualities, and the whole verse follows somewhat of a circular pattern. I won’t go into details, but if you’re interested in learning about the meaning of this verse, check out Nouman Ali Khan’s lecture on it. It’s only about 15 minutes and is really interesting. The real reason why I recite it so much is primarily for the practical use. I’ve learned from many people (quoting Hadith) that it is good to recite Ayat Al-Kursi when in a situation of danger like riding in a car or plane. At my Muslim elementary school, we got in the habit of reciting Ayat Al-Kursi before taking any important test. I also learned from a trusted teacher of mine that there are huge benefits to reciting Ayat Al-Kursi after the five daily prayers. Because of its supposed protective qualities, I have gotten in the habit of saying Ayat Al-Kursi in any anxiety-inducing situation: before taking a test, if I’m about to give a presentation, when I feel afraid, when walking around my house in the dark of the night, and I dare not be in a car without first reciting my dua and this ayah. It has almost become a coping mechanism for me. By reciting the words of the Qur’an, I am reminding myself that God is always with me and there to protect me. I know that he’s there even if I don’t say anything, but by saying it, I am acknowledging that in that moment, I am totally relying on God for my success and safety. God: there is no god but Him, the Ever Living, the Ever Watchful. Neither slumber nor sleep overtakes Him. All that is in the heavens and in the earth belongs to Him. Who is there that can intercede with Him except by His leave? He knows what is before them and what is behind them, but they do not comprehend any of His knowledge except what He wills. His throne extends over the heavens and the earth; it does not weary Him to preserve them both. He is the Most High, the Tremendous. I have some very exciting news to share! 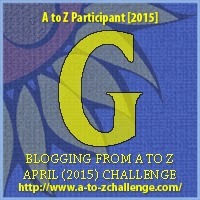 Starting tomorrow, I will be taking part in the Blogging from A to Z challenge. What is Blogging from A to Z you ask? Most of the time if you subtract Sundays from April, you then have 26 days–one day for each letter of the alphabet. I did this last year with my K-pop blog, and I decided to try doing it with this blog this year! I have decided to use this as an opportunity to challenge myself (as I will be participating with both of my blogs this year) as well as force myself to post more on this blog. I always think of different things I want to talk about on here, but just never get around to posting anything outside of Ramadan. So prepare yourselves for your daily dose of minnimonmon rambles for the next four weeks. InshaAllah I’ll see you all tomorrow with my post for A! If any of you are participating, let me know in a comment! I’d love to read your blog this month! If you would like to sign up, there are still two days to do so! To sign up, click here and for more information about Blogging from A to Z, click here.